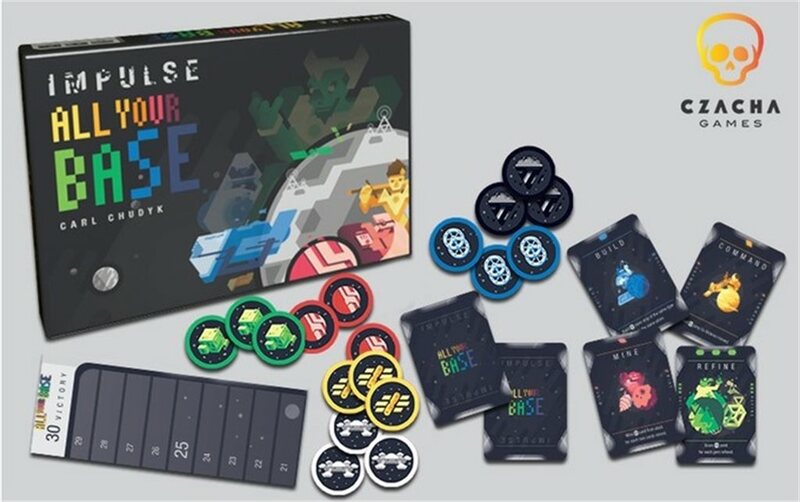 Impulse is a quick-playing 4X (explore, expand, exploit, and exterminate) game set in space with the game board being composed of cards that have actions on them. Players also have cards in hand, and in addition to featuring one of ten possible actions, these cards have a color (red, yellow, blue or green) and a size (1, 2 or 3, as indicated by the number of icons on the card). Each card also has six edges, and these edges connect adjacent cards in the hex-shaped playing area. The cards in the playing area start face down, with each player controlling a card (their Home) on a corner of this area. Each player has two transport ships in the center of his Home card and a cruiser on an edge. Cruisers are used to patrol sectors of space and destroy opposing transports, while transports let you activate sectors that you enter. On a turn, a player adds a card to the Impulse from his hand, then (optionally) performs an action for a tech in his playing area, then (optionally) performs all the actions in the Impulse, then draws two cards and adds them to his hand. 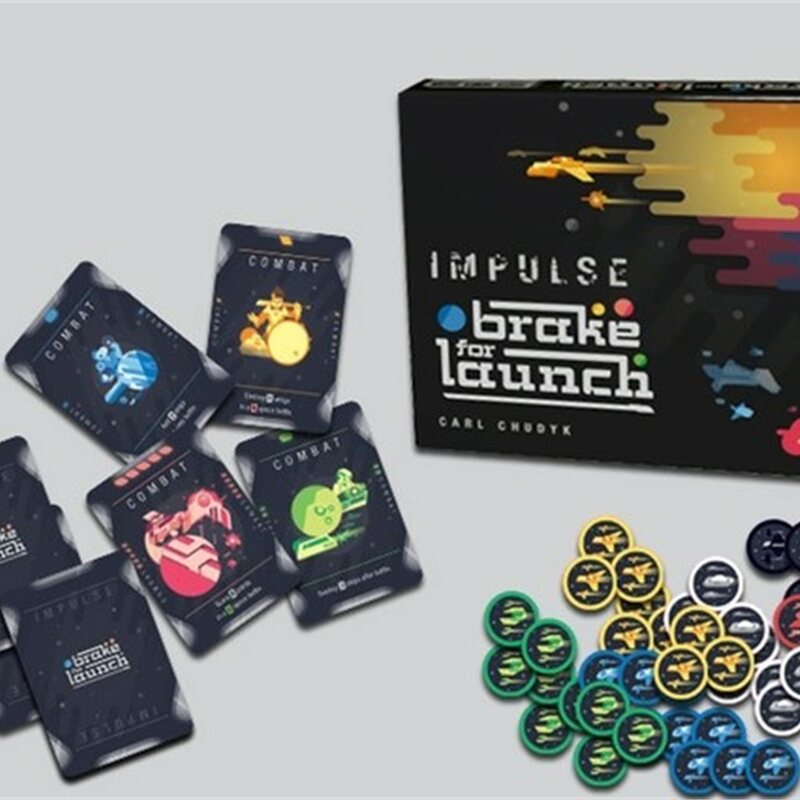 The Impulse is a line of cards shared by all players that changes turn by turn as players add cards to it and as cards fall off once it reaches maximum size. Thus, players need to feed the Impulse with actions that benefit them more than opponents, but that’s easier said than done. When you perform actions – whether from moving transports to them or using the Impulse – you can boost them by having minerals of the same color or lots of transports. Each action has a single numeral on it, e.g., “Command  ship for one jump” or “Build  cruiser at home”; when you boost an action, you increase that numeral. Players score points by destroying enemy ships (one point per ship), by controlling edge spaces on the central card (one point per edge), and by taking other actions via cards. The first player to score 20 points wins! In Brake for Launch, players build and transport fighter wings and deploy combat cards to turn the tide of battle in their favor. 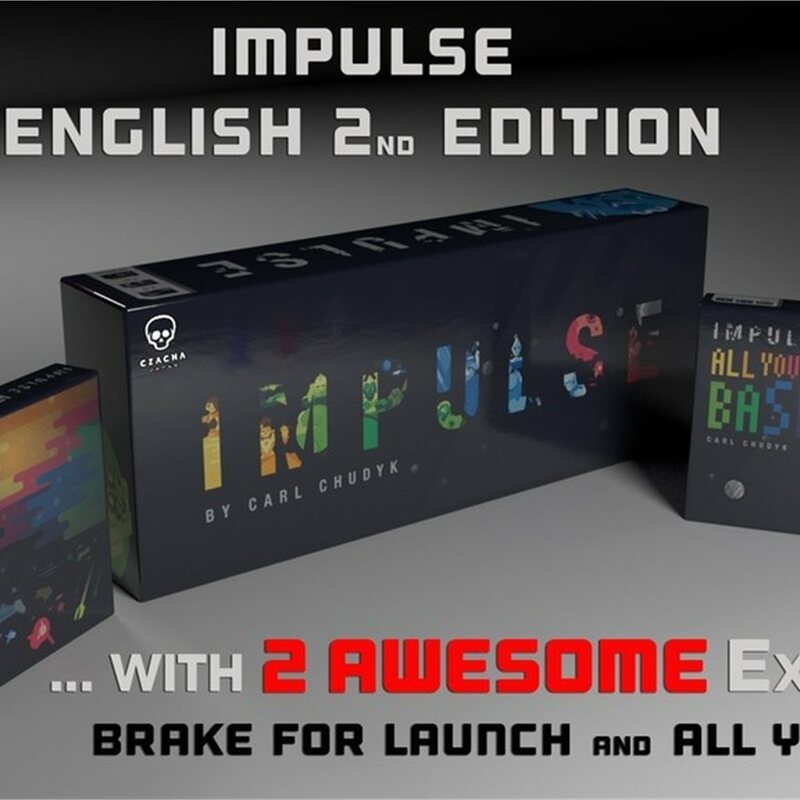 Brake for Launch is an expansion to Impulse, and cannot be played stand-alone. Brake for Launch may be played with or without All Your Base expansion. There are fifty-four wing cards included in Brake for Launch. They look exactly like regular Impulse cards, except that the action text on them instead applies before, during, or immediately after a battle fought on the board due to a Command action. Combat cards can be mined or scored like normal cards, or discarded as regular reinforcements during a battle. Combat cards cannot be executed, researched, planned, placed on the map, or added to the Impulse. 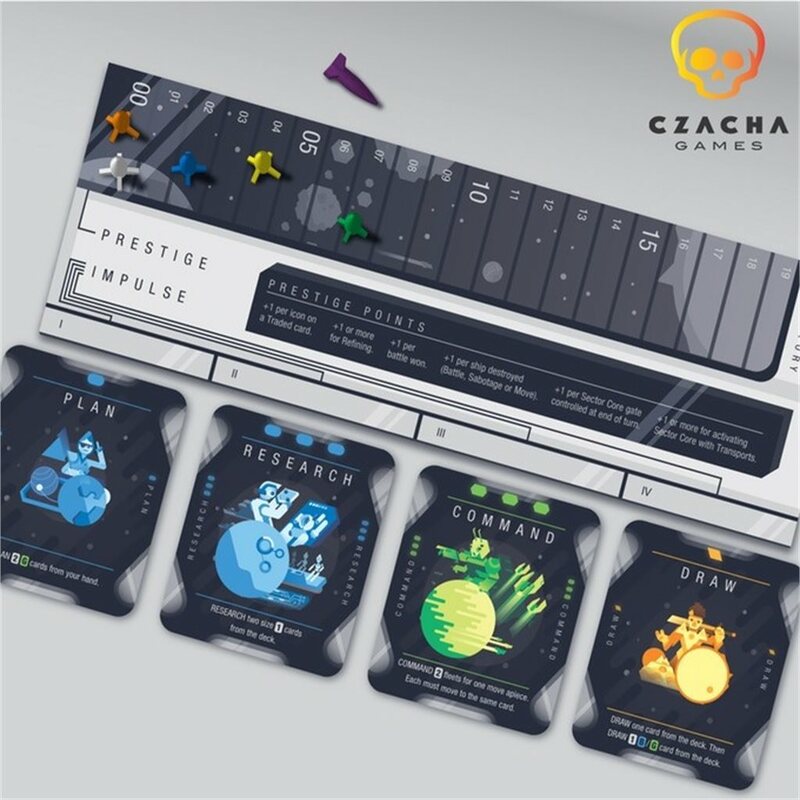 Each player chooses a color and takes the ship tokens of that color, as in a normal game, as well as the twelve wing tokens of the same color. Next shuffle the combat cards separately from the regular Impulse cards. Leave the combat cards in a combat card draw deck beside the regular draw deck. Wings are represented by wing tokens. Wing occupies one space on the map, like a transport, and patrols it, like a cruiser. In All Your Base, players build bases with communal special powers to further their cause in their local areas of space. All Your Base is an expansion to Impulse, and cannot be played stand-alone. There are fifty-four cards included in All Your Base. They look exactly like regular Impulse cards, except that the action text on them instead applies as a bonus after a player finishes some action on the board nest to a friendly base. Each player chooses a color and takes the ship and base tokens of that color. Shuffle the base cards separately from the regular Impulse cards. Leave the base cards in a base card draw deck beside the regular draw deck. Deal each player a hand of starting cards, and form the map as usual. Bases are built at map corners. A map corner is any place on the map where three space cards meet. Bases cannot be moved, except using some Layout cards. 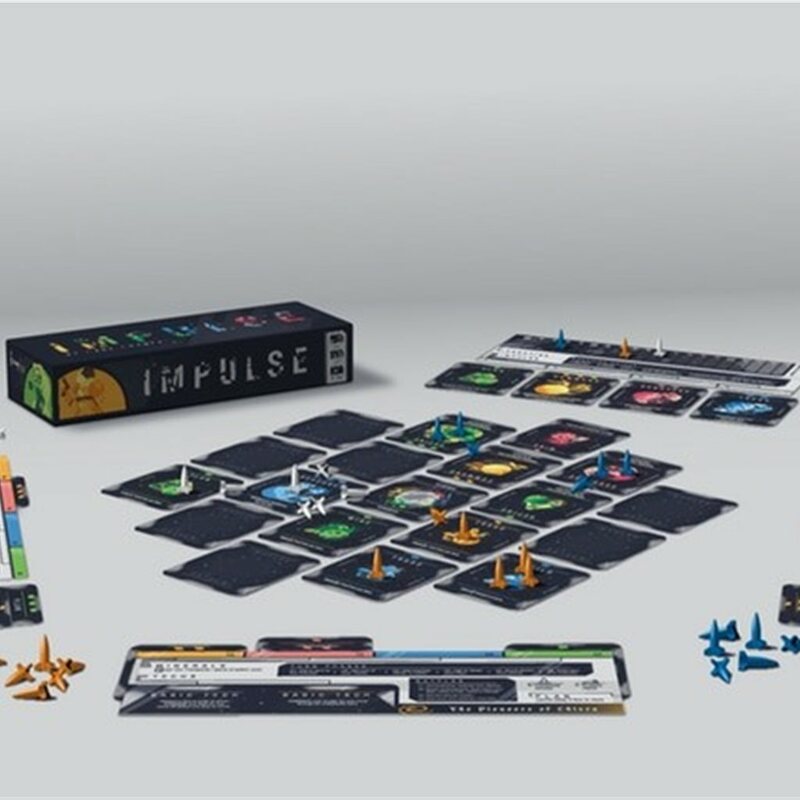 For each action card on the Impulse, the player may instead elect to activate a base he has on the board with the corresponding card in the Layout. Bases may be sabotaged by cards that mention sabotaging “ships” in general. Sabotaging a base scores one point.